Curious about the incoming flocks of geese flying overhead? 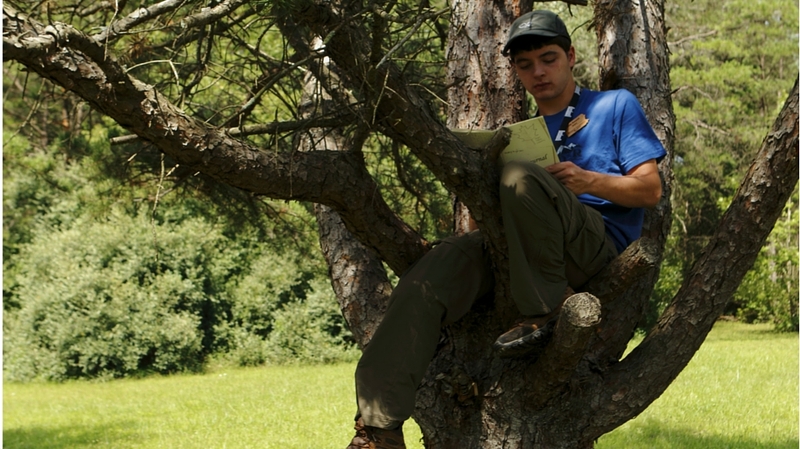 This week, Josh, a monthly blog correspondent and Bucktails and Ursids alumnus, writes about his observations and research about the Canada geese taking their long trip home. Who needs a groundhog seeing a shadow when you can have flying geese showing that spring is on its way? Canada geese always migrate to southern USA or Mexico, making an average distance of 1,000 miles a day, before winter comes since it gets too cold for them in Canada during the winter time. Their migration starts from October to early December to head south and their migration for heading north starts from March to May when the temperature warms up and it is alright for them to go back to Canada. While migrating they would make pit stops every now and then in places like lakes, ponds, fields, parks, etc. These rest stops include the pond that is near my home. 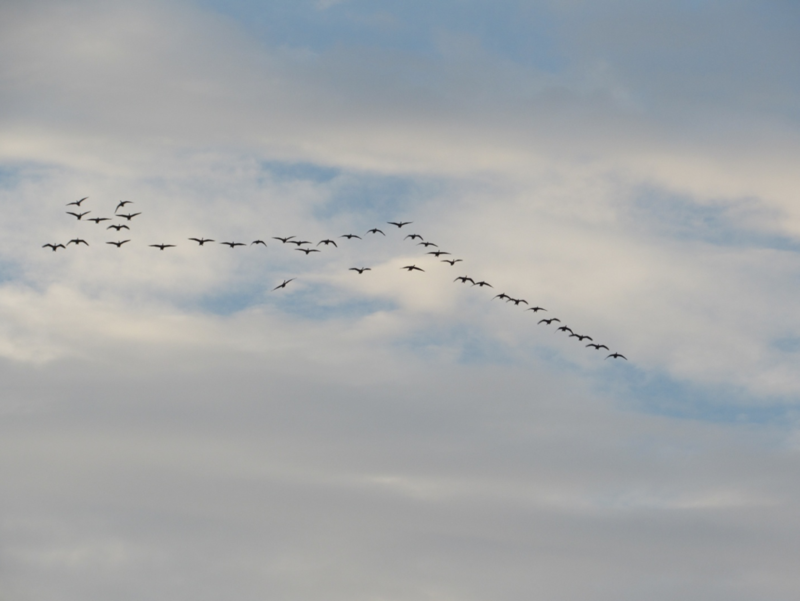 After resting, a large flock of geese get back in the air in their usual “V” shape form and head on home in Canada. A lot of geese would make a rest stop at the pond near my home while traveling so I would be seeing flocks flying by all the time. I have been seeing plenty of geese at the pond and flying north recently. 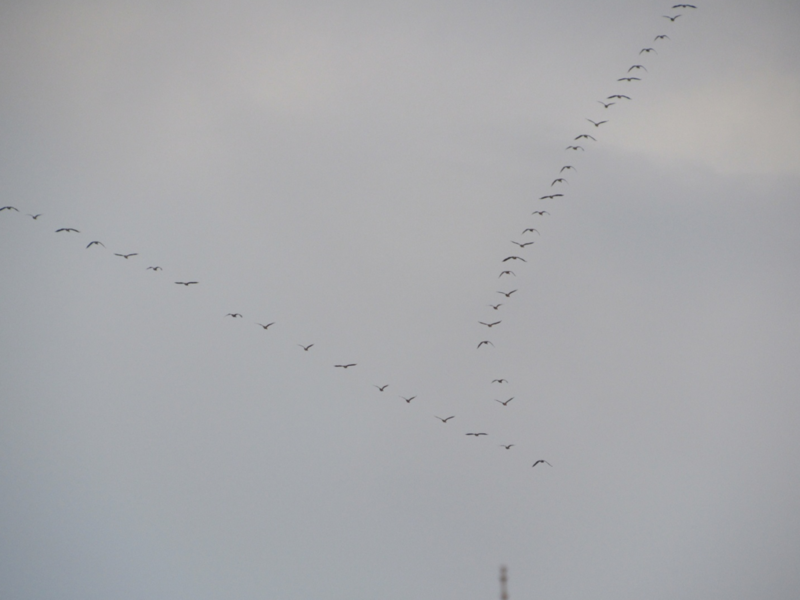 Seeing large flocks heading north in March would only mean that it was time for them to head back home now that spring was on its way.